Today's interview is a little bit different, as well as the first of its kind for this particular feature. 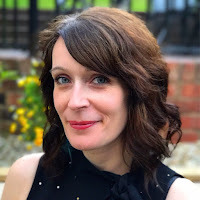 It's still with a fantasy author, in fact she's a debut fantasy author whose book got a star from School Library Journal and was an Indie's Next pick. 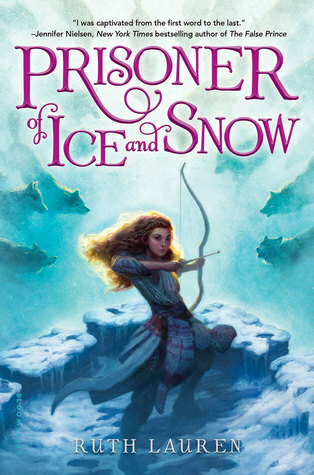 Please welcome Ruth Lauren, whose debut middle grade fantasy Prisoner of Ice and Snow came out earlier this year in the US and just released in the UK a few days ago! 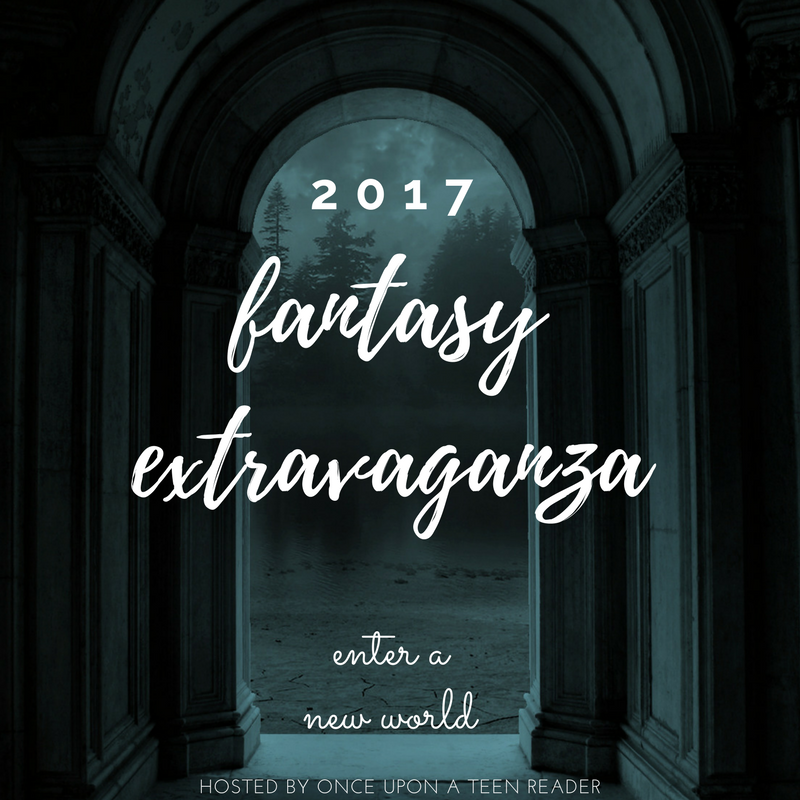 Once Upon A Teen Reader: I don't usually ask this question because I'm sure it's one you get all the time, but I just have to know how a book that's said to be "equal parts Prison Break and Frozen" came to be. Ruth Lauren: The idea began when I was watching Prison Break with my son. I wondered what that kind of story would be like if it was about two young sisters instead (and then if it were set in a fantasy land where I could add all sorts of interesting challenges and twists). OUATR: The whole novel is driven by Valor's need to save her sister from inside an impenetrable prison. Why did you decide to make their relationship so important to the story? RL: Love is a powerful motivator. But I think that there’s plenty of room for stories that prioritize different types of love than romantic. OUATR: Without even opening the book the title and cover give a sense of freezing cold. How did you come up with the setting for the book, and why did you decide to go with a setting that was so cold? RL: I wanted a very cold, snowy, frozen world where the elements themselves could cause problems for the characters and bleed through into every part of the planning Valor has to do to try to break her sister out of prison. The Russia-inspired part of the idea came soon after as I thought about where I could place the sisters to make their escape from prison even more challenging. I imagined a very unforgiving climate and terrain and went searching for images on Pinterest. I make boards for every idea that I have and I find it really helps me to visualize the world and individual scenes if I can link them to a picture. OUATR: I'm really curious how you went about coming up with a way to break out of a prison. What kind of research did you do for that, if any? RL: I spent far more time thinking about the construction of the prison than how to break out of it! But since the walls are impenetrable and incredibly high, Valor and her team really have no choice but to go underground. It was less a question of research and more one of how to make it a near-impossible challenge for Valor and constantly throw setbacks at her whilst also keeping it fun to read. OUATR: This is a middle grade book, but the idea itself is one that I feel could have easily been a YA book as well. Was it always a middle grade novel, and either way why did you choose to write about a younger character instead of an older one? RL: The original draft was middle grade, but I did age it up to YA at one point. That was discarded and rightly so—the middle grade version is much better! I have written books with older characters, and who knows, I may do again in the future, but something just clicked for me when I started writing about a younger teen girl. I like the focus on family and friends, I like the idea of writing for girls like my daughter (who’s currently eight), and I like the main relationship, all the love in the story, being between two sisters. 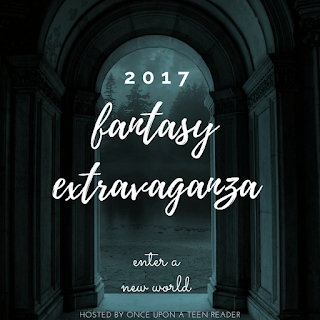 RL: I’ve always loved fantasy. I really should have thought of writing it sooner, but actually all the previous manuscripts I wrote were contemporary. I’m also currently editing a middle grade sci-fi story. But the next idea I’ll be working on is set in a fantasy land and I’m really looking forward to getting back to it. 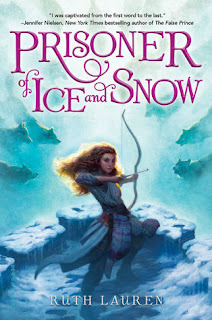 OUATR: What books would you suggest to people who have finished PRISONER OF ICE AND SNOW and are waiting for the sequel to come out? RL: Well Waterstones suggests THE WOLF WILDER by Katherine Rundell, THE WOLF PRINCESS by Cathryn Constable and THE LAST WILD by Piers Torday. They’re all wonderful. I also loved THE COUNTDOWN CONSPIRACY by Katie Slivensky, which is sci-fi, but has a smart, fierce teen girl protagonist and a lot of high-octane action. When Valor is arrested, she couldn’t be happier. Demidova’s prison for criminal children is exactly where she wants to be. Valor’s sister Sasha is already serving a life sentence for stealing from the royal family and Valor is going to help her escape . . . from the inside. Never mind that no one has escaped in three hundred years. Valor has a plan and resources most could only dream about. But she didn't count on having to outsmart both the guards and her fellow prisoners. If Valor’s plan is to succeed, she’ll need to make unlikely allies. And if the plan fails, she and Sasha could end up with fates worse than prison. While I'm not specifically giving away a copy of Ruth's book one of the prizes is a featured book of the winner's choice, of which Ruth's is, so enter the giveaway if you're at all interested. A book that's a cross between prison break and frozen is really weird to wrap my head around howe've this does sound like a very enjoyable read.